Bridging loans were originally conceived for the property market. Essentially, they are short-term ways in which developers can tide themselves over financially. They may be necessary if, for example, the sale of a property needs to be closed quickly, or if the banks will only offer a long-term loan once a development has reached a more advanced stage. These loans can also offer advantages to private, rather than corporate, borrowers. Bridging loans offer very high-speed access to cash and, therefore, can be expensive. You should think of them as a premium service in comparison to other loans, which may not be able to help your situation. Most private bridging loan customers take out such a loan for one of two reasons: either to buy property before closing the sale of their existing house; or to service existing debts on which they will otherwise slip into arrears. Bridging loans are particularly useful for property, and are a possible solution if you find yourself in a house sale 'chain'. You may, for example, have found a new house and have made an offer. Your offer has been accepted, but you have yet to complete the sale on your current property. The costs incurred in getting to this stage are likely to have been high, including surveying fees, agency costs and valuations. As a result, losing the new house at this stage would be very expensive and, of course, distressing. A 'closed' bridging loan for the value of the deposit you require would help in this situation. A 'closed' bridging loan is taken out before the sale of the first property is complete, and is a high-risk proposition for your lender. As a result, you will have to provide extensive documentation regarding your current financial situation, and you should expect to pay a particularly high rate of interest. However, this will almost certainly be a better option than abandoning the house. 'Open' bridging loans are also available. These are loans taken out after the sale of existing property, in order to pay the deposit on a new house if it cannot be secured in time. 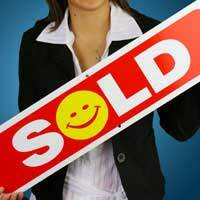 These are lower-risk for lenders as the first sale is already secured, and the interest rate will therefore be lower. Bridging loans are also an option for those who urgently need to make payments on debts from which they are already in arrears. These loans are secured; that is, the borrower must offer an asset to use as collateral against the loan. As a result, you should only think about a bridging loan as an absolute last resort. If you do not make the repayments, you risk losing the asset, which will almost certainly be your home. Those with bad credit history also often find that bridging loans are a good option, as they are easier to acquire than long-term unsecured loans. This is as a result of every case being examined on an individual basis, and the extensive documentation which is required. You should bear in mind, however, that the interest rates will be high as a result of the risk involved for the lender. Similarly, the monthly repayments will also be high as the time-scale of the loan is short - anything from two weeks to two years.